Apart, they are bound to destroy themselves. Together, they are bound to destroy each other. Henry Tudor's life has been mapped out since the day he was born: student president, valedictorian, Harvard Law School, and a stunning political career just like his father's. But ever since the death of Henry's brother—perfect, high-achieving Arthur—his family has been twice as demanding. And now Henry's trapped: forbidden from pursuing a life as an artist or dating any girl who's not Tudor approved. Anne is wild, brash and outspoken. She is everything Henry is not allowed to be—or to want. But soon Anne is all he can think about. His mother, his friends, and even his girlfriend warn him away, yet his desire for Anne consumes him. Henry is willing to do anything to be with her. But once he has her, their romance could destroy them both. 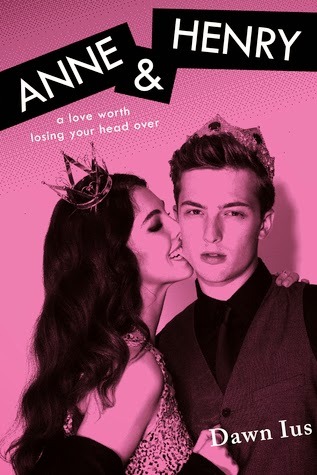 Inspired by the true story of Anne Boleyn and King Henry VIII, Anne & Henry reimagines the intensity, love, and betrayal between one of the most infamous couples of all time. Waiting On Wednesday is a weekly meme hosted by Breaking The Spine that spotlights upcoming releases we're eagerly anticipating. I'm a sucker for modern retellings of iconic individuals, especially when they're done well! The synopsis for this sounds incredibly intriguing. I'm very excited and awfully curious to see just how this adaptation is executed (pun intended). I love the Tudors too, and I think that I can already see how well the story can be adapted into a modern setting. This seems to be the first YA adaptation of their story, or at least the first one I've come across. I'm very interested to see how it's done! I've never heard of this one! I like retellings though, of any sort of content. I hope you enjoy the book when you read it!! Thanks for visiting my blog! Retellings are the best! Thank you for all the kind words. You have a lovely blog!